Tokyo, Mar.18, 2019 — The Japan Times, Ltd. (Chiyoda-ku, Tokyo. Representative: Takeharu Tsutsumi) is pleased to announce a media partnership with World Halal Conference 2019. 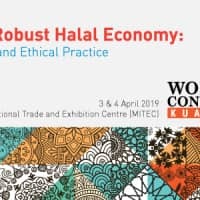 Through this strategic media partnership, the Halal Industry Development Corporation — WHC 2019’s organizer — aims to further promote Malaysia as a global halal hub and the annually held World Halal Conference to the Japanese market and to The Japan Times readers; an audience that consists of high-level management, businesspeople in and outside Japan and senior government officials.